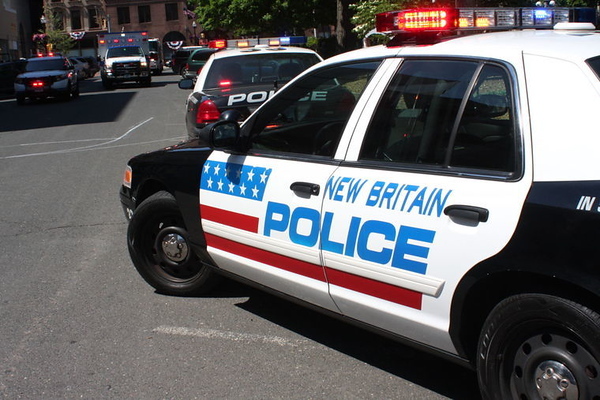 NEW BRITAIN - An East Hartford woman, who allegedly tried to attack another woman with a knife Tuesday morning, was taken into custody after the victim locked her assailant on a second-floor porch, police said. Latahja Henry, 18, of 1910 Main St., East Hartford, at first verbally argued with the other woman because the victim refused to give her money, police reports said. The two were at a New Britain residence at around 9:50 a.m. when the altercation began unfolding, police said. Henry then pulled out a knife and tried to attack the other woman who was able to restrain the 18-year-old, Capt. Jeanette Portalatin said. When the victim got the knife away from Henry, the 18-year-old kicked the other woman in the face, Portalatin said. Henry broke free of the victim’s grasp and then began to destroy items in the apartment, police said. Henry allegedly broke a television, a PlayStation gaming unit and a cell phone, doing about $1,600 worth of damage in all, Portalatin said. The victim called police and locked Henry in a second-floor porch where she was found by responding officers, Portalatin said. Henry was charged with attempted first-degree assault, disorderly conduct, second-degree threatening, and first-degree criminal mischief. She was held on $100,000 bond after her arraignment in New Britain Superior Court Wednesday. Posted in New Britain Herald, New Britain on Wednesday, 5 September 2018 19:56. Updated: Wednesday, 5 September 2018 19:58.